Leonardo Fibonacci was a brilliant Italian mathematician who lived in the 13th century and is known worldwide for his Fibonacci number sequence which has become very popular with FOREX traders. FOREX traders use the numbers, to calculate Fibonacci retracement levels and look to gain better market timing for their trades by using them. Let's look at Fibonacci FOREX trading methods in more detail. How many pairs of rabbits can be produced from one single pair, if each month each pair produces a new pair, which, from the second month, starts producing more rabbits? After the first few numbers of the sequence though, the ratio of any number in relation to the next higher number is approximately .618, and the lower number is 1.618. These two figures represent the golden mean, or the golden ratio and there are several examples of the Golden Ratio which can be seen throughout the natural world. For example, Sunflowers, have opposing spirals of seeds which have a 1.618 ratio between there diameters, In a beehive, if you divide the number of female bees by the number of male bees you will get a ratio of approximately 1.618. This same ratio can also be seen in many other areas of the natural world from snail shells, to DNA molecules. Now let's look at how traders use this sequence of numbers in FOREX trading. 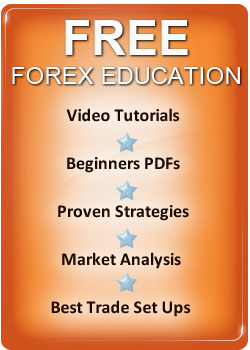 In FOREX trading the Fibonacci ratios derived from this sequence of numbers is important i.e: .236, .50, .382, .618, etc. These numbers give Fibonacci retracement levels which traders use to define support or resistance in the market. The two Fibonacci percentage retracement levels considered the most important are: 38.2% and 62.8%. Other retracement levels used by FX traders are: 75%, 50%, and 33%. Do Fibonacci Numbers and Retracements Work? When Leonardo Fibonacci created the number sequence, it had nothing to do with FOREX! I think he would be surprised to find that his numbers have been applied to an area for which they were never intended. It's amazing, that the idea these numbers can be applied to FOREX trading is believed by so many traders. This is no disrespect to Leonardo Fibonacci who was a brilliant thinker. So why are the numbers not an effective FOREX trading tool? Sometimes they will hold but for a figure to reflect natural order they should hold all the time and they don't. In fact, you can pick any retracement you like and that will work sometimes too. The Fibonacci number sequence is supposed to work because its based on mathematical order but FOREX markets don't move to mathematics and that's a fact. It's all very mystical, and appeals to the far out investment community or naïve traders, who think there is some hidden order to market movement but of course, there isn't a hidden order. Currency trading involves uncertainty and that's what makes a market move NOT natural order. Fibonacci was a great thinker but is Fibonacci trading going to help you enjoy trading success? I personally don't think so and I am sure if Fibonacci was alive today, he would probably agree with me.